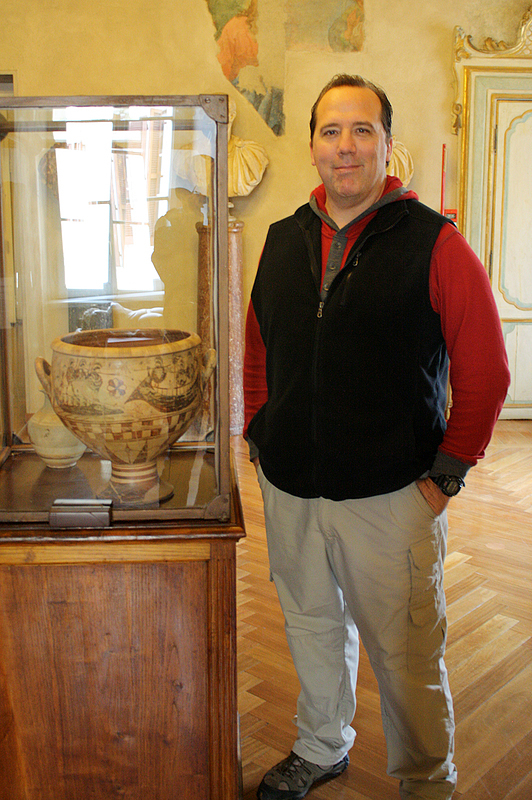 Dan Davis has been an assistant professor of Classics since 2011. Dan teaches ancient Greek, Latin, and classical civilization courses, including Greek and Roman archaeology, marine archaeology, ancient science, and mythology. Professor Davis has authored numerous articles on ancient seafaring and marine archaeology. He is currently working on two major publication projects. The Kyrenia ship, which sank off northern Cyprus around 290 B.C., was fully excavated and conserved in nearby Kyrenia castle. Since the 1980s two replicas have been built, Kyrenia II and Kyrenia Liberty, for the purposes of testing methods of ancient hull construction and for testing their sailing performance under various weather conditions. Professor Davis, together with the replicas' ship captain Glafkos Cariolou, are publishing the results of those sailing trials in a chapter entitled "Kyrenia Liberty: Performance under Sail and Navigation." Publication of the two-volume report on the Kyrenia shipwreck is set for 2018. 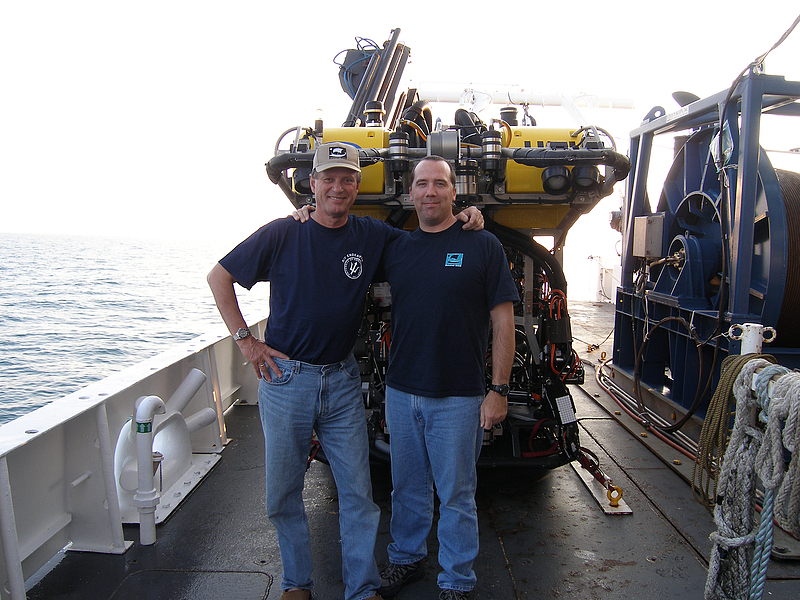 Dan Davis and Robert Ballard aboard the R/V Endeavor in the Black Sea. Brennan, M.L., D. Davis, R.D. Ballard, A.C. Trembanis, J.I. Vaughn, J.S. Krumholz, J.P. Delgado, C. Roman, C. Smart, K.L.C. Bell, M. Duman and C. DuVal. 2015. “Quantification of Bottom Trawl Fishing Damage to Ancient Shipwreck Sites.” Marine Geology 371, 82-88. Brennan, M.L., D. Davis, C. Roman, I.V. Buynevich, A. Catsambis, M. Kofahl, D. Urkmez, J. I. Vaughn, M. Merrigan, M. Duman. 2013. “Ocean Dynamics and Anthropogenic Impacts along the Southern Black Sea Shelf Examined through the Preservation of Pre-Modern Shipwrecks,” Continental Shelf Research 53, 89-101. The project will culminate in a large scholarly book entitled Archaeological Oceanography of the Aegean and Black Seas: Ocean Exploration in Turkey, 2007-2013 (forthcoming, Texas A&M University Press, 2018). Dan Davis maintained by Dan Davis. Page last updated on 6 November 2017.